Finally, it is time for my summer vacation. With only eleven flights, by my standards I have a very modest itinerary to cover in two weeks. 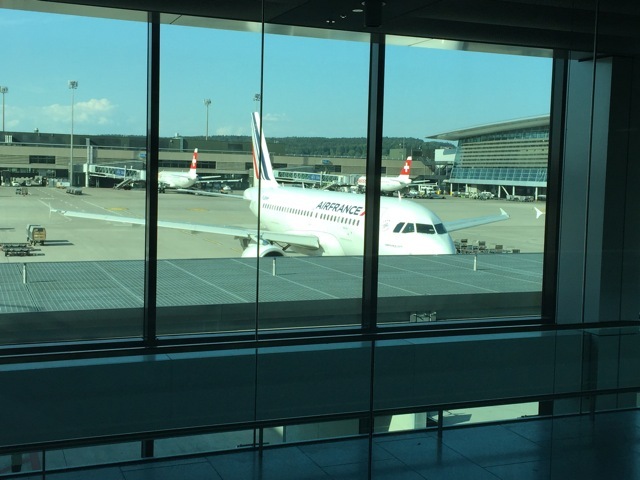 The first leg of this series sees me travelling on one of Airbus’s smallest aircraft – the Air France A319 – from Zürich to Paris-Roissy. This, of course, is merely a positioning flight. 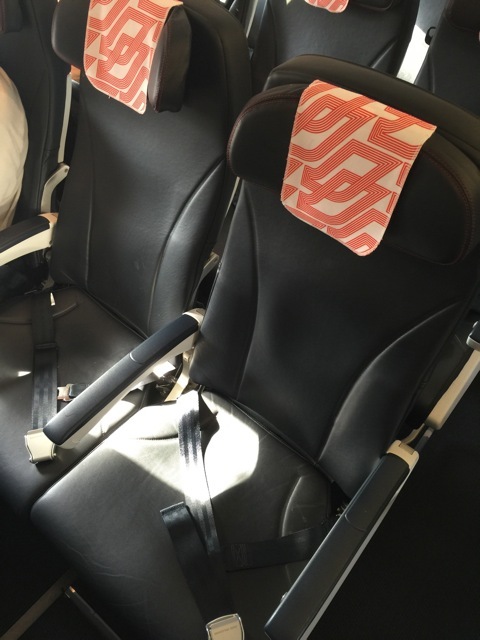 Originally, this flight should have been operated by an A318. However, I know from a reliable source that Air France has a tendency to swap aircraft on this route rather frequently. Departs from: Basel Swiss Railway station (Being right in the corner between Switzerland, France and Germany, Basel has three railway stations). Frequency: Every 30 minutes via Zürich main railway station, where you have to change. From there you have a train to the airport at 07, 09 and 37 and 39 past the hour. 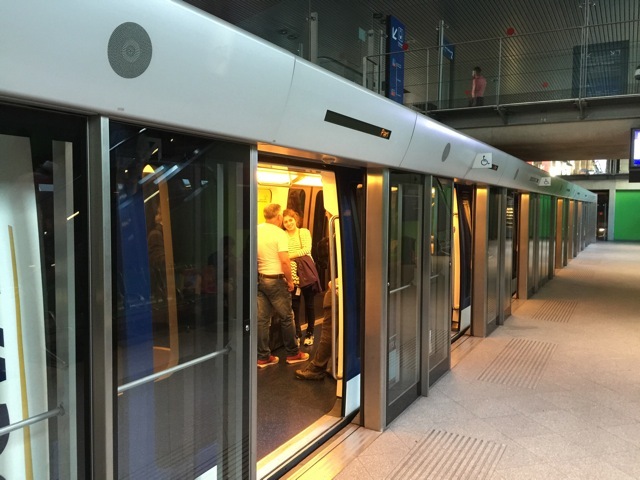 Alternatively, there is an hourly train at 40 past the hour, which runs directly from Basel Swiss Railway station to Zürich Flughafen. Journey time: About 80 minutes. Fare: CHF38 for a second class one way ticket. 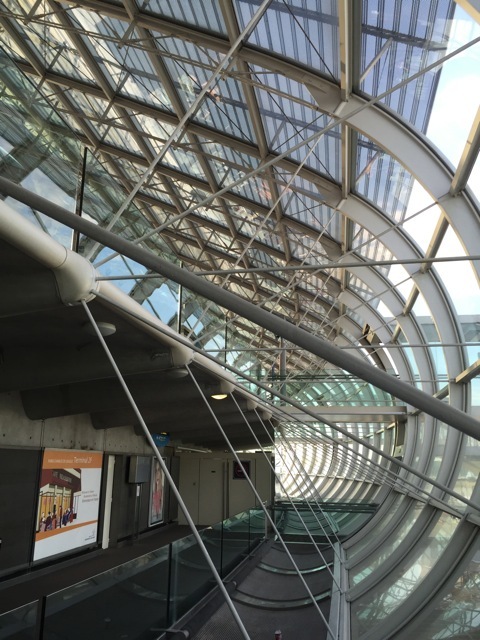 The fare is the same, whether you take the direct train to the airport or change at Zürich main station. 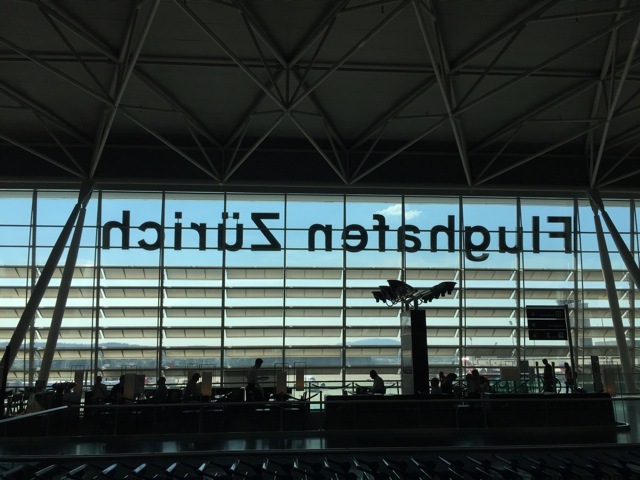 Rather than carting my suitcase all the way to Winterthur and then back again in the evening, I decide to hop off at Zürich airport on my way to the office in the morning. Lockers are located one floor up from the platform, to the left of the escalators leading up from platforms three and four. There are lockers in different sizes and prices range from CHF6 for a small locker that can take one piece of large hand luggage, to CHF15 for a locker large enough for two standard size suitcases. Location: Check-in 2, row 4. 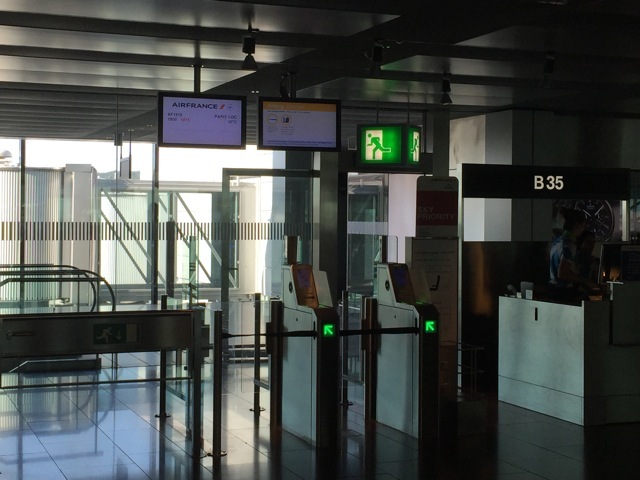 Facilities: Check-in machines, Web Check-in. Counters: One counter for SkyPriority passengers and two for all other travellers. 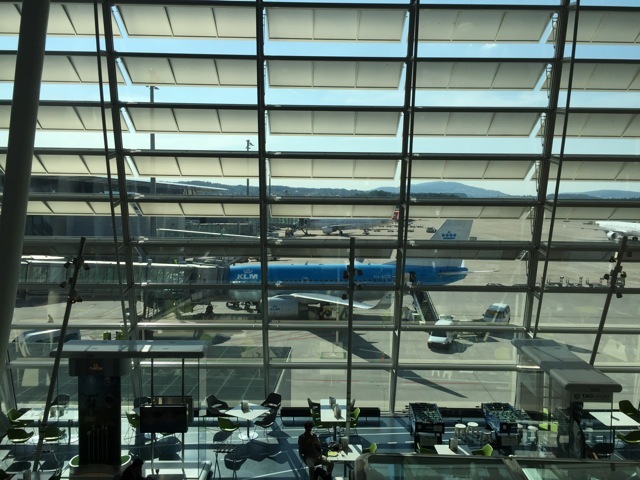 I always thought the KLM app was much better than the Air France one. However, recently both KLM and Air France released updates of their respective apps and I must say, the Air France one is now much better and more attractive. I think what I dislike the most about the new KLM app is that finding information is far less intuitive. Just try looking up a ticket number for one of your bookings! 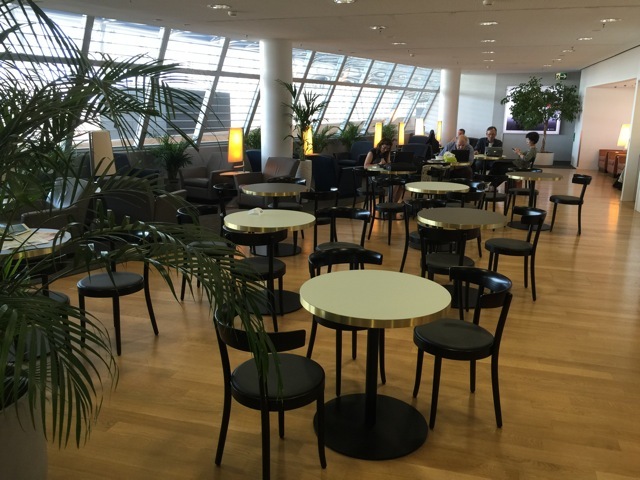 During the check-in process, I am given the option to upgrade to Business Class for CHF125 or to select an emergency exit seat for extra space. 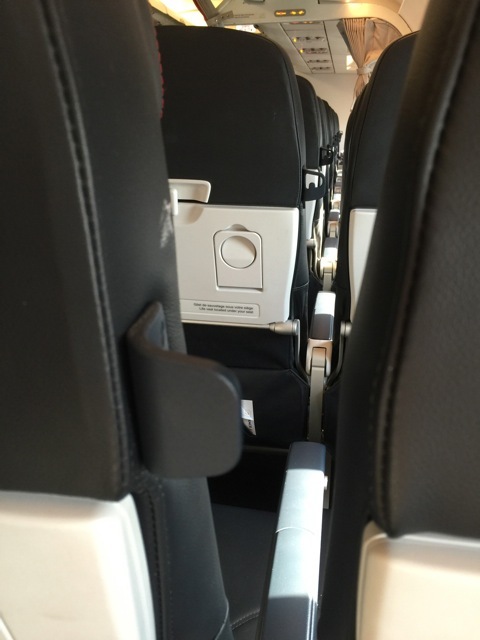 The standard price for an emergency exit seat is CHF11 for regular passengers, CHF5.50 for Gold card holders and free of charge for Platinum card holders. 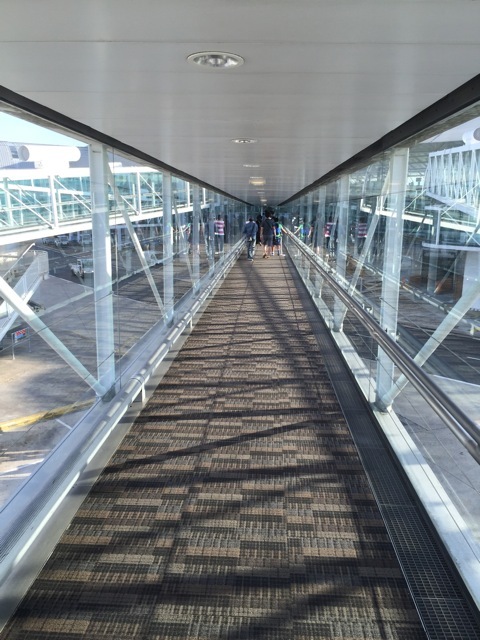 Location: One floor up from the airside centre. 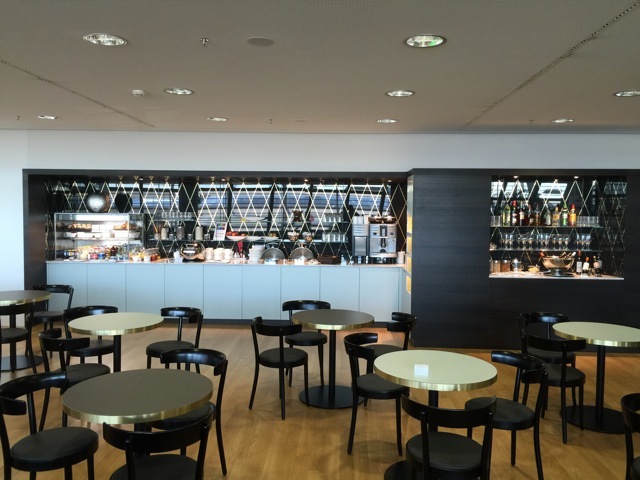 Type of Lounge: Dedicated SkyTeam lounge, operated by DNATA. Facilities: None to mention really. The toilets are outside the lounge, no showers. Food: Sandwiches, biscuits, soup. The food changes throughout the day. Bar: Selection of alcoholic and non-alcoholic drinks and juices, including, somewhat surprisingly, cranberry juice. Internet: Free wifi, the code is issued at reception. The lounge has been done up since my last visit. There are new bistro style tables and chairs to match. It is a vast improvement over the chairs there used to be in the lounge. The entire bar area is new too. They also appear to have expanded their food options. Apart from the soup and sandwiches there are now also small bowls with different types of salad available. Priority Boarding: Available and strictly enforced. Our flight is delayed arriving from Paris, and so boarding starts about thirty minutes late. The first call is for Business Class and status card holders only and I am quite impressed by how the sequence is enforced, with passenger not falling into either category being turned away and asked to wait. 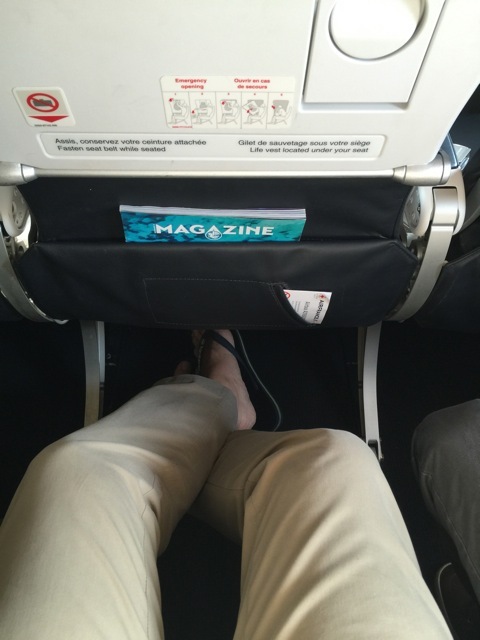 Seat: 10D, aisle seat on the emergency exit. 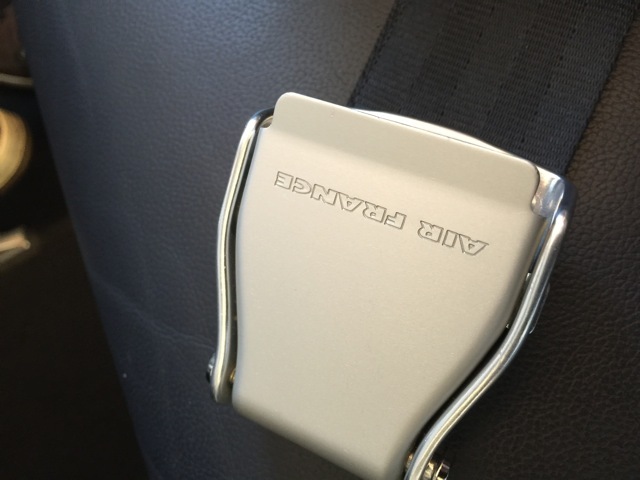 Facilities: Reading lamp and an air vent, adjustable headrest. Air France’s A319 have a seating capacity of 125 in a two-class cabin, with an Economy Class and a Business Class section. 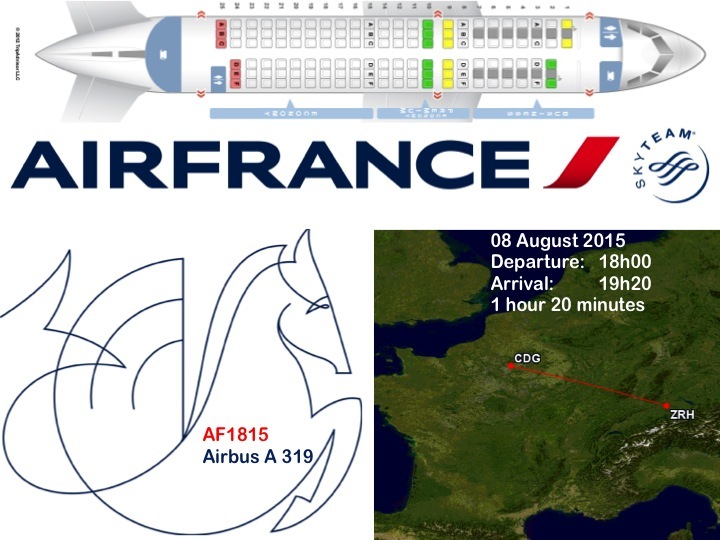 Although it should also be mentioned that Air France operates the A319 in two different configurations. 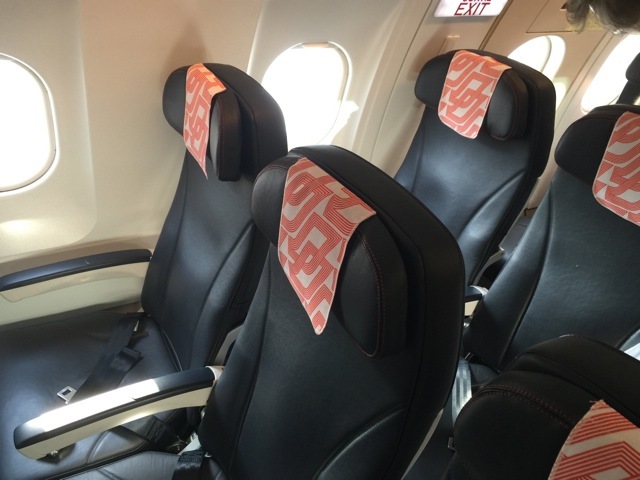 On domestic routes the aircraft only has one class and is configured for a capacity of 142. The cabin is comfortable and spacious. 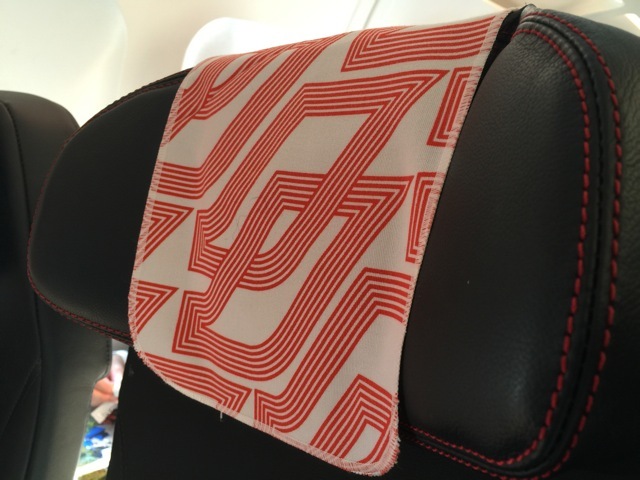 The seats have leather covers and look fairly new. 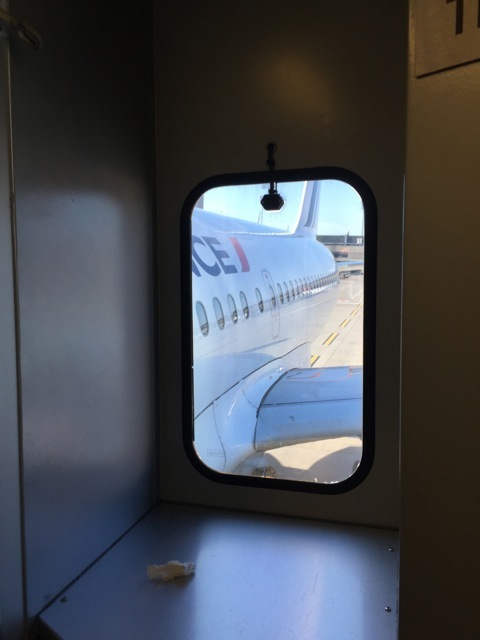 In fact I do not think I have every been on an Air France aircraft with this type of cabin. 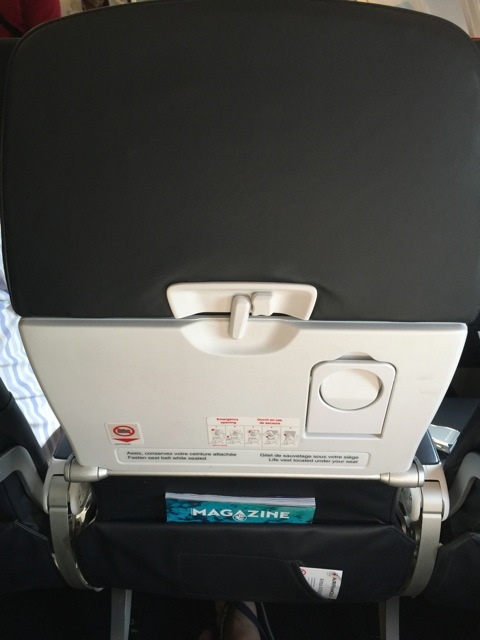 The cabin service is provided by four cabin crew, one male and three females. I did not have any interaction with the male, but the three ladies were all very charming, friendly and chatty. This makes for an interesting comparison. 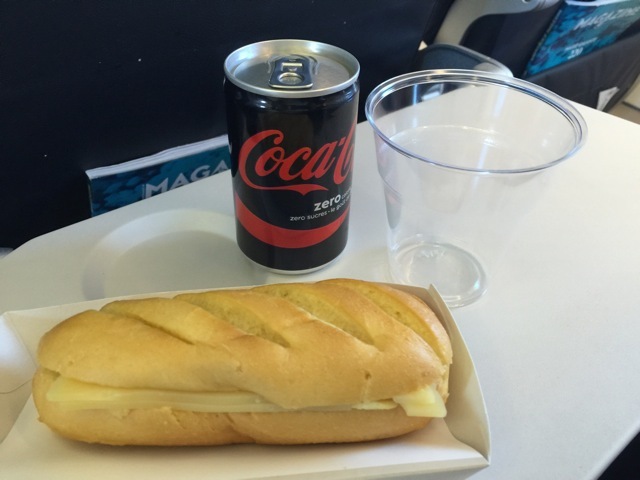 As far as the quality of the sandwich is concerned, I think KLM has the upper hand. 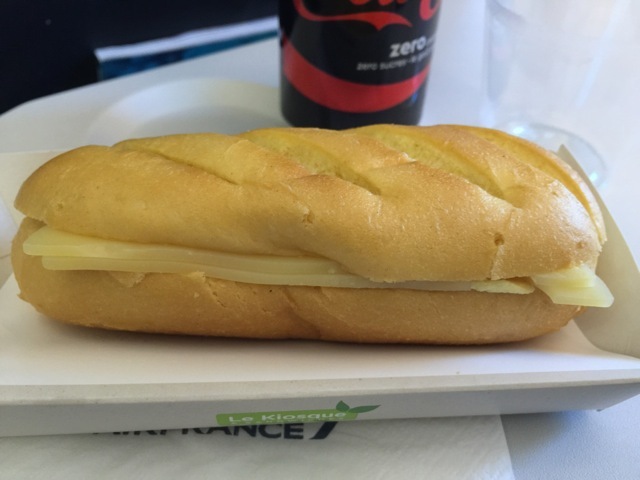 Their cheese sandwiches are tastier because the bread they use is not as rubbery as the bun provided by Air France. Furthermore, KLM have some Dutch cheese in their sandwiches, which is a nice local touch. Given the vast number of delectable French cheese, it is somewhat alienating that they should use a Swiss Emmental instead! Having said that, Air France certainly has the better drinks selection. Whereas in KLM you have a choice of orange of apple juice, coke or still water, Air France offer a nicely stocked bar even in Economy Class. Terminal 2F is where most of the Schengen flights of Air France and their partners arrive and depart. 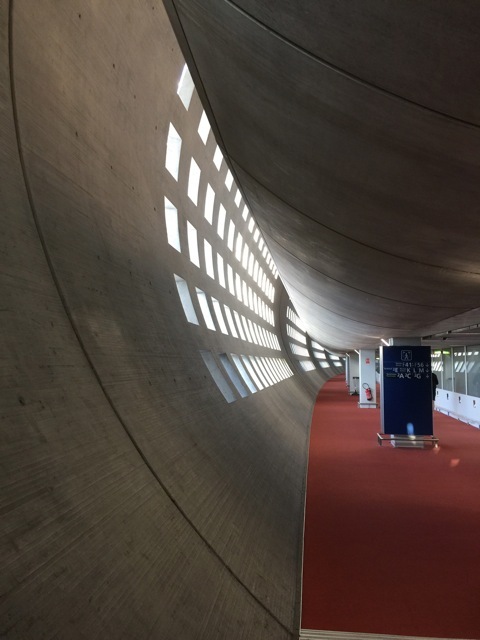 Like everything else in Roissy Airport, the facility certainly looks very sleek and stylish but not very user or passenger friendly. 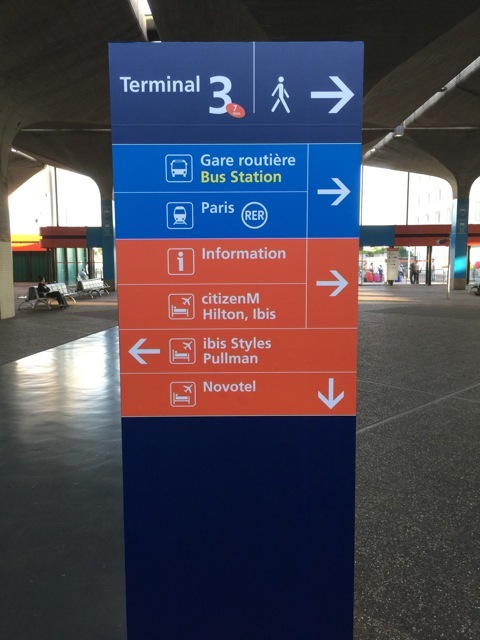 In particular, transferring between one terminal and another can be quite a nightmare in Paris, which is why I have decided to spend the night here before starting on the journey proper. 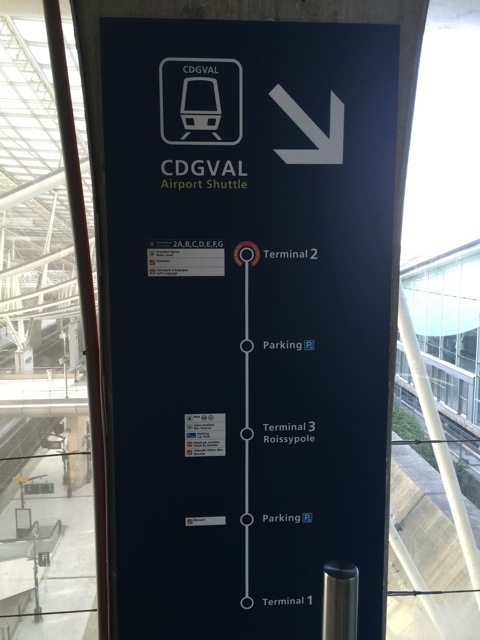 Transport: Complimentary Roissy-Val shuttle train. 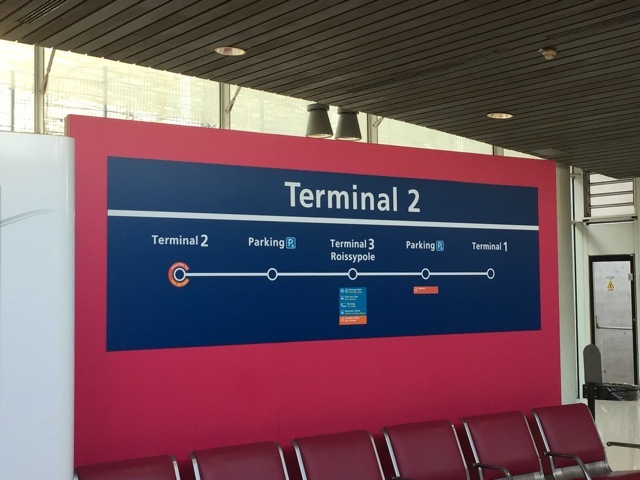 Departs from: Terminals 1 and 2. Journey time: About 15 minutes door to door. I am only spending the one night in Paris, so I figure I might as well stay near the airport. This time, I shall be staying at the CitizenM. 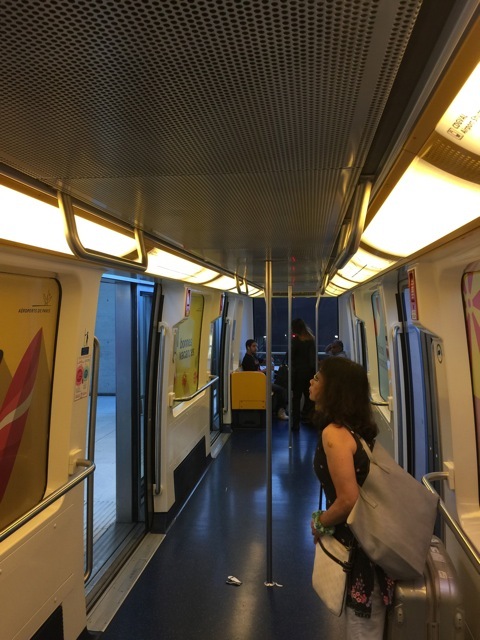 To reach the hotel from Terminal 2, first take the complimentary Roissy-Val shuttle train, which links the three terminals. 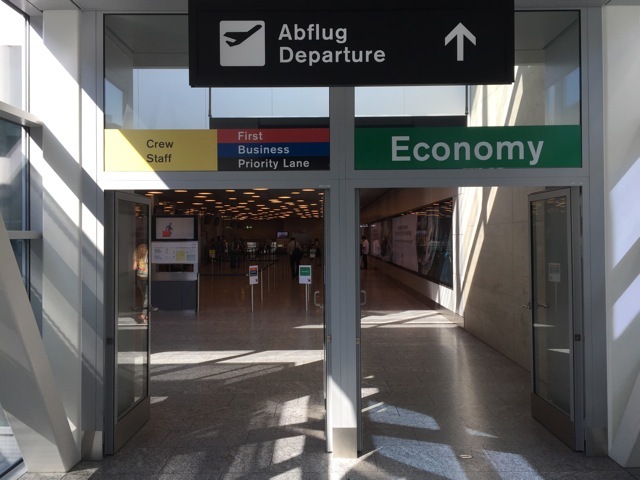 Alight at Terminal 3, then take exit 1 and follow the signs. The CitizenM is about two minutes on foot from the Terminal 3 stop. 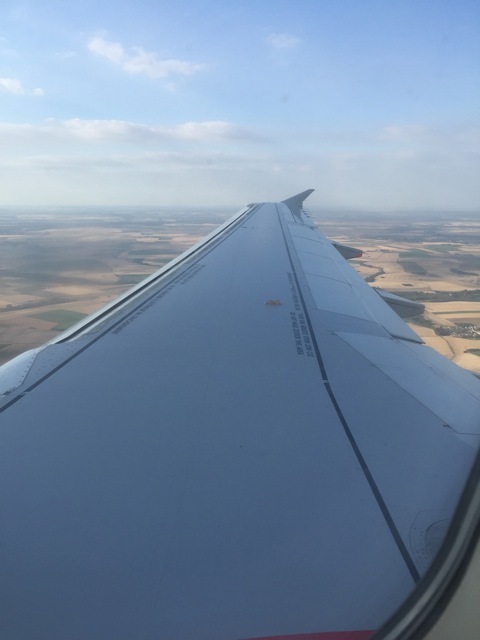 This entry was posted in Air France, Airbus A 319, Economy Class and tagged air france, airlines, Basel Swiss Railway station, Business Class, departure gates, economy seat, flying, KLM, leisure traffic, paris, swiss federal railways, transportation, travel, vacation, Zürich, zurich airport. Bookmark the permalink.